Many of you may have noticed that I dyed my hair black on Instagram. Let's just say that when I previously dyed my hair burgundy, my hair didn't like it much. My hair was dry due to lightening it. I was forced to change it to a darker color. Since then, my hair has been in dire need of some nourishment. This calls for a hair emergency. 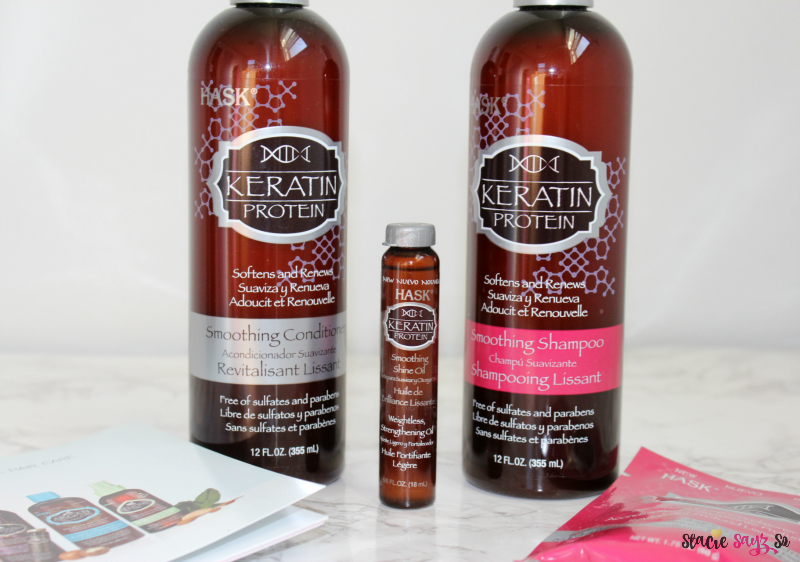 I enlisted the help of Hask and they came to my rescue by sending me the Keratin Protein set. Thank you, because a sister needs some help! Now, I'm still learning the ins and outs of taking care of my hair with protein. I know protein products isn't something you use every week, but I wanted see how a protein treatment would work on my hair. 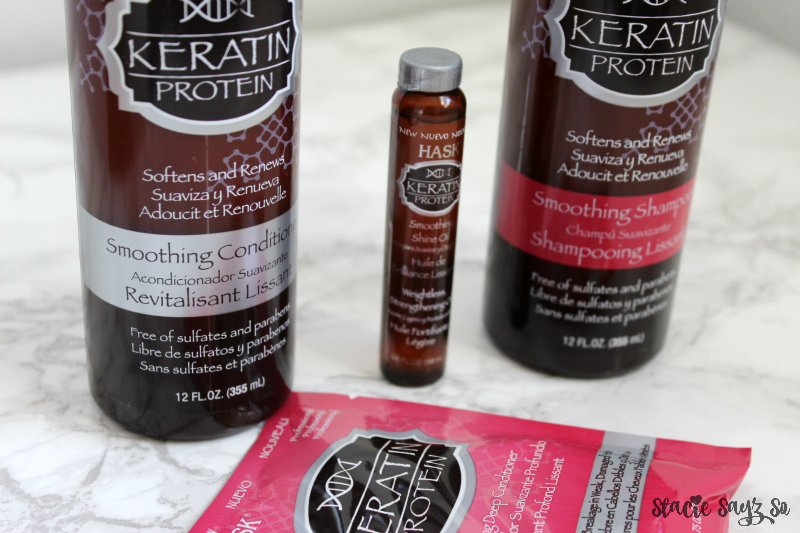 Hask Keratin Protein Results. What do you think? So far, I've used the Hask Keratin Protein Shampoo & Conditioner once and I like my results. 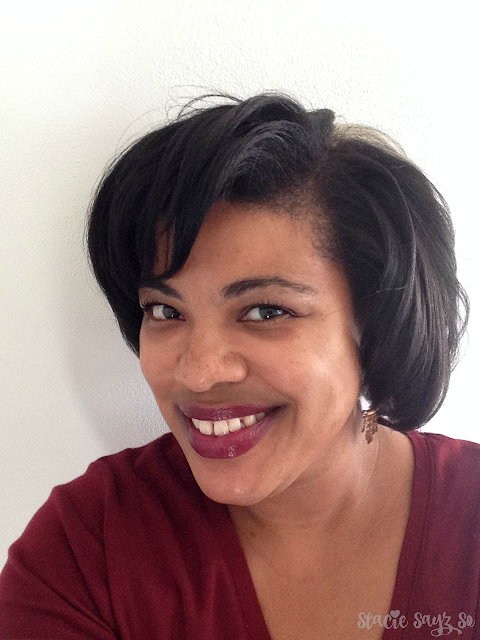 I plan to add a protein treatment into my hair regimen at least once a month for stronger hair. I've used the Hask Oil several times and it has helped add shine to my dry tresses. Have you tried Hask hair care before? Your hair looks great. I need to do better job of sticking to a hair routine. Thank you Sonya! Me too. Taking care of our hair can be tough! Thank you Victoria! I need to use more Argan Oil. I forgot all about it. In one of my subscription boxes, I received a mask in a pouch that I got a couple uses. I absolutely loved it and my hair felt so awesome. Your hair looks really cute and healthy here! I liked it in burgundy too, but I definitely know from personal experience how lightening hair can take a toll on it! Right! I like it burgundy as well. Maybe I'll try a burgundy rinse next time. Thanks! My hair always looks its best after I wash it. I hear ya! I love playing with hair color but it's so drying.